(MENAFN - The Conversation) South Africa's government has outlined a new set of policy objectives around science, technology and innovation. These are currently in draft form, and will soon appear in a new White Paper. The overall vision of the policy is the use of science and technology to drive the sustainable and inclusive development of South Africa. It rests heavily on the systems of innovation framework, which acknowledges that innovation is an interactive process with many actors and relationships. The policy's key objectives are improved partnerships between the public and private sectors as well as better coherence and coordination in government policy, especially between separate departments. In addition to these are stronger and transformed institutions; improved financing for research and development (R & D), higher quality of education and higher levels of innovation in the economy. The proposed White Paper is a constructive and comprehensive document with several strong points. But, we argue , it doesn't provide definitive and necessary leadership on two key issues. The first relates to the development of people's skills and abilities. The second issue is the under-performance of the country's science councils, also known as public research institutes. There are seven such councils which collectively consume 55% of government's research budget and are responsible for undertaking research in support of the country's social and economic objectives. 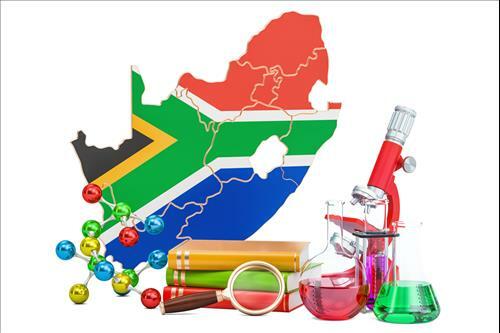 The problem is that the model used to create South Africa's science councils is outdated. Today, universities fulfil many of the science councils' roles; they do so at a much lower cost; and also add value by simultaneously training postgraduate students. Our work suggests that closing under-performing science councils could achieve two important goals. First, the public budget for R & D will be enhanced because at least a portion of their R6 billion funding from government can be redirected to universities and the private sector. Second, the country's ability to absorb new technologies and knowledge will be strengthened. The analysis for National Treasury was done using the programme evaluation approach of Performance Expenditure Reviews . This was developed by the Department of Performance Monitoring and Evaluation in 2013 to assess the benefit/cost ratio of a number of publicly funded programmes. Since then, the reviews have been applied to many provincial and national initiatives. The Treasury review involved benchmarking the overall public-funded research and development system. The findings suggested that the science councils are unproductive and need to be either closed or their resources redirected . The review showed the benefit/cost ratio for the councils was 0.26 for the councils relative to 1.44 for the universities. In other words, for every Rand of R & D expenditure the combined value of all the publications, patents, new ventures, income from intellectual property, research degrees conferred and contract research income amounted to 26 cents for the science councils and 144 cents for the universities. Apart from the productivity benefit – that is, greater output at a lower cost – the use of public universities to meet government's needs for new knowledge has two other strong points in their favour, especially in South Africa. Universities develop much-needed skilled human resources and strengthen the country's ability to absorb new technologies and hence drive innovation. Science councils simply don't play a strong enough role in human resource development and have become ineffective in stimulating innovation. They are also, the Treasury review showed, not doing nearly as much as universities when it comes to applying research and development funding to knowledge production. South Africa has set ambitious targets for R & D expenditure, which will require a virtual doubling of the existing level. However, increases in public funding are unlikely to take place given constraints on tax revenues and fiscal pressure to increase support for public enterprises, the social wage and education. The country needs more value from its current expenditure. The closure of inefficient institutions – like science councils that are not showing good returns on R & D spending – will be a useful place to start. And, this approach would not be without precedent. The role of public research institutions like science councils in national innovation systems has been diminishing in most developed countries . More funds are being directed to universities and directly to R & D activities of the private sector in the form of grants and subsidies.